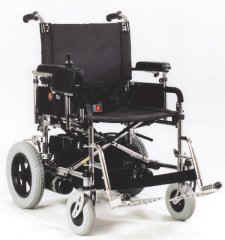 The Merits MP1I Travel Ease - This versatile standard power chair can be folded and stored when not in use, folding down to a total of only 14" in width, unlike most others. The powerful MP1 Travel Ease is designed for indoor maneuverability yet has a tried and true design that offers outstanding rehab functionality. 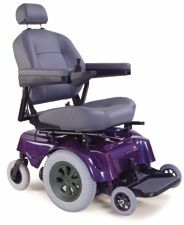 Elevating leg rests, and various seat widths are just some of the options that make the Merits Travel Ease the rehab wheelchair of choice. Available in 16", 18", 20", 22" or 24" wide widths. Charger 3 amp, separate unit.